Start your weekend at our streamer's meetup! Talk about the scene, play casual or competitive on LAN and more! Or if you're looking to build a streaming career, grow your audience by partnering with other streamers. In addition to hanging out, you have the option to join us as a guest on our official live stream at twitch.tv/gamesync We meet Fridays at 4pm and continue all night - stop by any time! Join the TwitchCon Party at GameSync! Every year, GameSync LAN center hosts a 24 hour multi day gaming event for all attendees of TwitchCon – a celebration of all things Twitch, gaming, and broadcasting. Come visit us before, during or after TwitchCon and immerse yourself with best-in-class Steelseries peripherals, DXRacer gaming chairs, and more! All of our network equipment is riding on a dedicated business fiber Internet connection for incredible ping times and low latency. We even have OBS on every station for streaming. No matter where TwitchCon is held each year, we invite you to stop by and join the party! 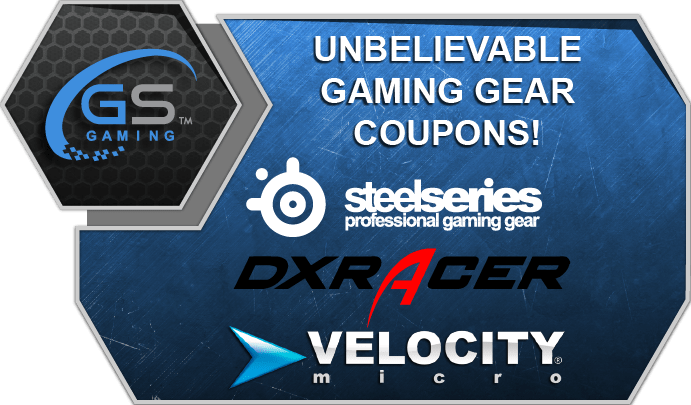 Save On Discounted Gaming Gear!